Organophosphate pesticides are commonly used to increase agricultural efficiency worldwide. However, it has been proved that these chemicals generally do not show target specificity and non-target vertebrate organisms are adversely affected by pesticide exposure. The aim of the present study was to examine the potential harmful effects of fonofos, an organophosphate insecticide, on the gill tissues of zebrafish (Danio rerio). Adult zebrafish were exposed to 1, 2 and 4 mg/L fonofos for 96 hours. Gill tissues were removed, fixed with Bouin’s fluid and embedded in paraffin. 5 µm serial sections were stained with hematoxylin-eosin, Gomori trichrome or periodic acid-Schiff. Samples were investigated by light microscopy and histological alterations were compared with the 0.1% dimethyl sulfoxide (DMSO) exposed solvent control samples. Fonofos caused epithelial lifting, curling of secondary lamellae, desquamation, epithelial hyperplasia, and lamellar fusion in the gills. Gills showed distinct histopathological changes through fonofos exposure. It was determined that fonofos is a threat to non-target organisms living in aquatic ecosystems. Organofosfatlı pestisitler dünya çapında tarımsal verimliliği artırmak için yaygın olarak kullanılmaktadır. Ancak, bu kimyasalların genel olarak hedef özgüllüğü göstermediği ve hedef dışındaki omurgalı canlıların da pestisit maruziyetinden etkilendikleri ortaya konmuştur. Bu çalışmanın amacı, organofosfatlı bir insektisit olan fonofosun zebra balığının (Danio rerio) solungaç dokularındaki potansiyel zararlı etkilerini araştırmaktır. Ergin zebra balıkları 96 saat boyunca 1, 2 ve 4 mg/L fonofosa maruz bırakıldı. Solungaçlar çıkartılarak Bouin sıvısında tespit edildi ve parafine gömüldü. 5 µm kalınlıktaki kesitler hematoksilen eozin, Gomori trikrom veya periyodik asit Schiff boyaları ile boyandı. Örnekler ışık mikroskobunda incelenerek histolojik değişimleri %0,1 dimetilsülfoksit (DMSO) uygulanan çözücü kontrol grubu örnekleriyle karşılaştırıldı. Fonofos solungaçlarda, epitel dokuda kalkma, sekonder lamellerde kıvrılma, deskuamasyon, epitelyal hiperplazi ve lamellar füzyona yol açtı. Solungaçlar fonofos maruziyeti ile belirgin histopatolojik farklılıklar gösterdi. Fonofosun sucul ekosistemlerde yaşayan hedef dışı organizmalar için bir tehdit oluşturduğu belirlenmiştir.
.	Fairchild, J. F., Little, E. E., Huckins, J. N. Aquatic hazard assessment of the organophosphate insecticide fonofos. Archives of Environmental Contamination and Toxicology, 22-4 (1992) 375-379.
.	Costa, L.G. Current issues in organophosphate toxicology. Clinica Chimica Acta, 366-1 (2006) 1-13.
.	Velmurugan, B., Selvanayagam, M., Cengiz, E.I., Unlu, E. Histopathological changes in the gill and liver tissues of freshwater fish, Cirrhinus mrigala exposed to dichlorvos. Brazilian Archives of Biology and Technology, 52-5 (2009) 1291–1296.
.	Murthy, K. S., Kiran, B. R., Venkateshwarlu, M. A review on toxicity of pesticides in fish. International Journal of Open Scientific Research, 1-1, (2013) 15-36.
.	Deb, N., Das, S. Chlorpyrifos toxicity in fish: A Review. Current World Environment, 8-1, (2013) 77-84.
.	Ullah, S., Zorriehzahra, M. J. Ecotoxicology: a review of pesticides induced toxicity in fish. Advances in Animal and Veterinary Sciences, 3-1, (2015) 40-57.
.	U.S. EPA. (2008). Health Effects Support Document For Fonofos. Washington, DC: US Environmental Protection Agency. Available: https://www.epa.gov/sites/production/files/2014-09/documents/health_effects_support_document_for_fonofos.pdf [accessed 16 May 2018].
.	Mahajan, R., Blair, A., Lynch, C.F., Schroeder, P., Hoppin, J.A., Sandler, D.P., Alavanja, M.C. Fonofos exposure and cancer incidence in the agricultural health study. Environmental Health Perspectives, 114-12 (2006) 1838-1842.
.	Lele, Z., Krone, P.H. The zebrafish as a model system in developmental, toxicological and transgenic research. Biotechnology Advances, 14-1 (1996) 57–72.
.	Dai, Y.J., Jia, Y.F., Chen, N., Bian, W.P., Li, Q.K., Ma, Y.B., Chen, Y.L., Pei, D.S. Zebrafish as a model system to study toxicology. Environmental Toxicology and Chemistry, 33-1 (2014) 11–7.
.	Machado, M.R., Fanta, E. Effects of the organophosphorous methyl parathion on the branchial epithelium of a freshwater fish Metynnis roosevelti. Brazilian Archives of Biology and Technology, 46-3 (2003) 361–372.
.	Gröner, F., Höhne, C., Kleiner, W., Kloas, W. Chronic diclofenac exposure affects gill integrity and pituitary gene expression and displays estrogenic activity in nile tilapia (Oreochromis niloticus). Chemosphere, 166, (2017) 473-481.
.	Lakra, W.S., Nagpure, N.S. Genotoxicological studies in fishes: a review. Indian Journal of Animal Sciences, 79-1 (2009) 93-97.
.	Nataraj, B., Hemalatha, D., Rangasamy, B., Maharajan, K., Ramesh, M. Hepatic oxidative stress, genotoxicity and histopathological alteration in fresh water fish Labeo rohita exposed to organophosphorus pesticide profenofos. Biocatalysis and Agricultural Biotechnology, 12 (2017) 185–190.
.	Adali, Y., Koca, Y.B. Effects of pollution on some tissues of fish collected from different regions of Büyük Menderes river: A histopathological study. Journal of Environmental Protection and Ecology, 17-2 (2016) 477-487.
.	Cengiz, E.I., Ünlü, E. Histopathology of gills in mosquitofish, Gambusia affinis after long-term exposure to sublethal concentrations of malathion. Journal of Environmental Science and Health - Part B Pesticides, Food Contaminants, and Agricultural Wastes, 38-5 (2003) 581–589.
.	Subburaj, A., Jawahar, P., Jayakumar, N., Srinivasan, A., Ahilan, B. Acute toxicity bioassay of Malathion ( EC 50%) on the fish, Oreochromis mossambicus (Tilapia) and associated histological alterations in gills. Journal of Entomology and Zoology Studies, 6-1 (2018) 103–107.
.	Velmurugan, B., Selvanayagam, M., Cengiz, E.I., Unlu, E. The effects of monocrotophos to different tissues of freshwater fish Cirrhinus mrigala. Bulletin of Environmental Contamination and Toxicology, 78-6 (2007) 450–454.
.	Mataqueiro, M.I., Nakaghi, L.S.O., De Souza, J.P., Da Cruz, C., De Oliveira, G.H., Urbinati, E.C. Histopathological changes in the gill, liver and kidney of pacu (Piaractus mesopotamicus, Holmberg, 1887) exposed to various concentrations of trichlorfon. 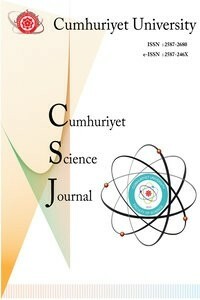 Journal of Applied Ichthyology, 25-1 (2009) 124–127.
.	Adel, M., Dadar, M., Khajavi, S.H., Pourgholam, R., Karimí, B., Velisek, J. Hematological, biochemical and histopathological changes in Caspian brown trout (Salmo trutta caspius Kessler, 1877) following exposure to sublethal concentrations of chlorpyrifos. Toxin Reviews, 36-1 (2017) 73-79.